Check out this and other news you missed. 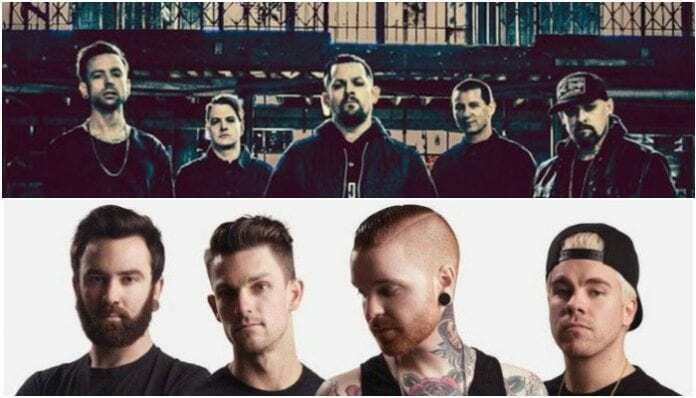 Dream State shared the song that saved their life—plus, don’t miss a new music video from Memphis May Fire and a live podcast from TWLOHA. Check out the news you might have missed today below. Dream State released their cover of Linkin Park’s “Crawling,” which appears on the Songs That Saved My Life compilation album. The band chose to cover “Crawling” because of the immense effect that Linkin Park had on shaping the band as both people and musicians. Proceeds from Songs That Saved My Life go toward mental health support organizations. You can preorder the album now. To Write Love On Her Arms will host a live podcast recording featuring This Is Us star Chris Sullivan. TWLOHA founder Jamie Tworkowski will interview Sullivan on the podcast, in front of a live audience. The live show will take place Dec. 16 at the Bootleg Theater in Los Angeles with tickets available now. System Of A Down announced that all of their albums—including their self-titled debut and 2001’s Toxicity—are available on vinyl now. The band teased that the reissues are only available for a limited time, so you can pick your copy up here. Good Charlotte dropped a music video for “Self Help,” featuring live footage from their 2018 North American tour. The music video was filmed at City Of Angels Boxing in Los Angeles and Summit Theater in Colorado. “Self Help” is off the band’s latest effort, Generation Rx, available now. Memphis May Fire released a new music video for “The Old Me.” Directed by Caleb Mallery (Sevendust, Underoath), the song is about frontman Matty Mullins’ battles with anxiety and depression. Currently, the band’s on tour with Atreyu, Ice Nine Kills and Sleep Signals. The new track is off Broken, out Nov. 16. Fans can preorder the album and buy tickets now.